Reviewing the material for an entire section of the CPA exam can feel overwhelming and intimidating. 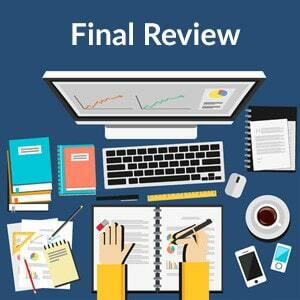 Your final review is the last chance you’ll have to cram as much knowledge into your brain as possible. How you approach this can very easily be the difference between passing and failing, no matter what review course you have at your disposal. Below are some study tips and practices I used during my CPA journey that will help you have a killer final review. 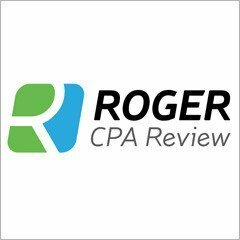 When you first start studying for a specific CPA exam section, it’s important to remember that you are going to need to come back to this information a month or two down the road for your final review. You need to start marking up all the important information in your books right from the beginning. The best way to cover all the material is to take notes as you progress through your section in a separate notebook that should include all the definitions, formulas, and key topics you think might show up on the exam. If writing things out doesn’t fit your learning style you can also highlight, underline, and write all over on your textbook. As long as you can easily find the important material when your final review time comes around you will save yourself from a lot of stress. Once you have completed a particular section, you should go back and re-take all the practice exams and topics that you struggled with. The higher quality CPA review courses have performance tracking analytics built into their software that help you easily identify the specific subject areas you’ve scored low on. After each practice test, go back and manually write out the problems that you got incorrect in your notebook along with the correct answer and the reasoning behind it. Physically writing things down with pen and paper allows your memory to process the information in a different way making it easier to recall later on. Have you ever made a “To-Do list” before, but ended up not having to use it because you remembered what you wrote on it? I do this all the time. Writing transforms your thoughts into something more visual and strengthens your memory, use this to your advantage. The best way to ensure you are able to fully focus, especially if you work a full-time job like I did, is to use the weekend for your final review. If you are able to take Monday off from work then this is a huge advantage since this would give you 3 consecutive days to get your study on. I would suggest scheduling your exam on a Monday afternoon, this allows for a short study session before you head off to the testing center. During this 3-day final review period I made it clear to all my friends and family that I would be unreachable. No text messages. No phone calls. No Facebook. Nothing at all that would stand in the way of me becoming a CPA. I was able to cover all the material I needed to in this time frame and felt much more mentally prepared going into each exam once my mind was free of distractions and obligations. You can get an even more in-depth guide to your final review in my study guide. This is the final review game plan I used, however, my hope is that you will take what fits your own needs to create your own. Play to your strengths, if cramming is not your style, then lengthen the total review period so you are able to cover the study material adequately. The goal of having a final review study plan is to not only review all the information you’ve learned in the previous weeks, but to also give you a huge boost of confidence on your exam day by knowing you have prepared more thoroughly than most of the other CPA candidates. Bryce,I tested REG yesterday and used this format, 25 hours between Saturday-Monday. I have failed FAR twice previously and wanted to be sure I passed REG. I studied a total of 243 hours and still didn't feel confident I passed. The SIMS were extremely tough!